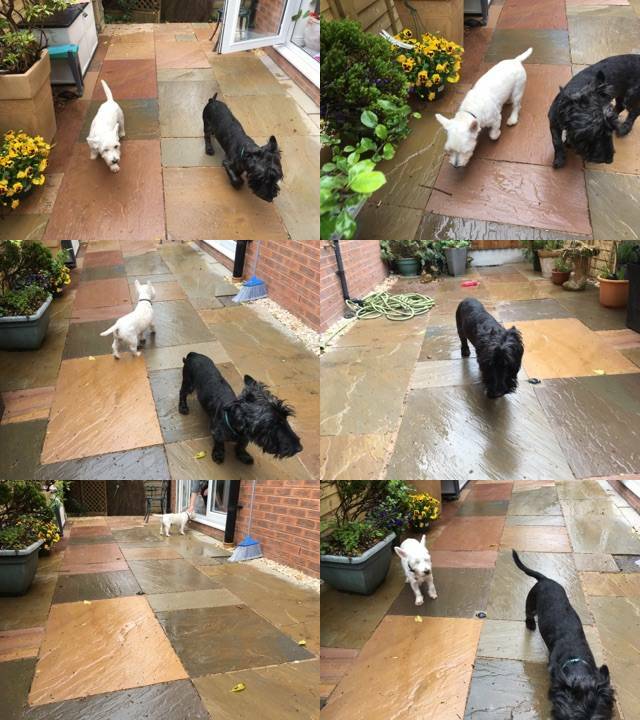 We’ve been to visit Mac & Campbell today in their new home so we thought we’d give you an update! These guys came into us in a pitiful state. Their coats were matted and had urine and faeces caked into them. We dread to think what state they would have been in if they had been left like this during the scorching weather we’ve had recently. Lorraine, the groomer here could do nothing but shave them completely and give them a good bath! Now they were clean and comfortable they could have their vet checks, vaccinations, get microchipped and neutered ready to look for a new home. Needless to say their skin was a bit sore but thankfully they were otherwise in good health. All the staff worked hard getting them ready for a new owner and finding them the right home……a couple of weeks later it looked like their efforts had paid off! It was lovely to see the pair of them happy again and already settling well into their new home. Their new owner is very grateful to the staff at the Home (and we’re sure Mac and Campbell are too!) and look forward to their future together. We look forward to keeping in touch with them all and keeping up with their progress. P.S. 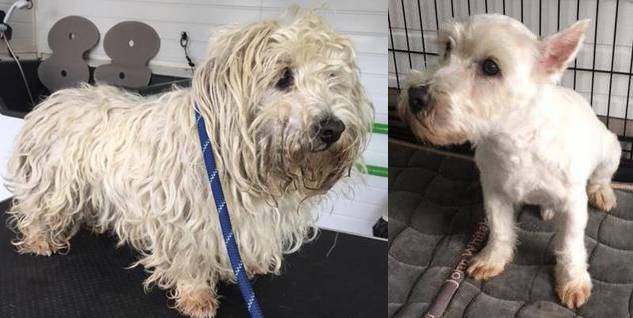 If you think you could provide a forever home for Pippa or Wendol (our longest residents) or any of the other dogs that have been waiting a long time for homes, please don’t hesitate to get in touch! This entry was posted in Uncategorised on 2nd June 2017 by admin.